never runs out of silliness. This particular book parses cowmedy into many forms. the sheer absurdity of the stories, songs, and jokes. Superman tropes inimitably (in its imitation). Red Rover, Red Rover, let which cow named Tino come over? 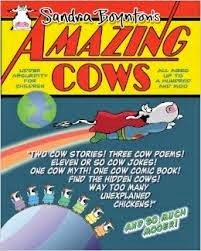 There were 80 cows named Tino. In honor of Spring, I bring you a stampede of frogs. 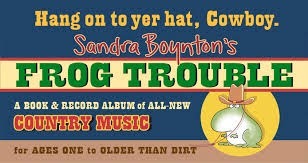 The hardcover book includes words and music for the songs, bios of the musicians, instructions for a paper frog puppet, and a cd with all twelve songs. In the song, “I’ve Got a Dog”, It’s as if Dwight Yoakum was singing, “I’ve got a dawg.” The song “Trucks” started in the key of D, went down to C, went up to D-flat, and went back to D. There was a song that talked about when pigs really fly! What does deepest blue mean? 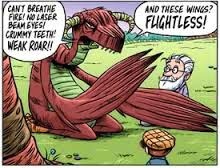 Education Friday - "How Comics and Graphic Novels Can Help Your Kids Love to Read!" formatted as a comic book). often help readers with autism. and correlations to the common core. will intrigue and please your kid? that lives on the hill just isn't scary. Publisher Top Shelf also offers "Johnny Boo,"
and might appeal to those readers. 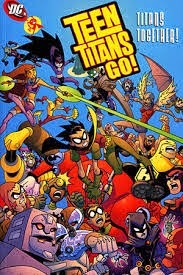 try DC's "Teen Titans Go"
-specifically the character Rocket Raccoon. younger readers - think Archie or Richie Rich. 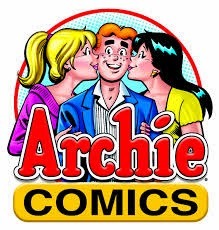 You can still get Archie comics. that may interest your kids. stereotypes offer a poor blueprint for social behavior.